Bob Dylan's collaborative relationship with the Band is the stuff of legends. From Dylan's infamous electric tour of 1966 to The Basement Tapes, his team-up with the Canadian group produced some of the songwriter's most iconic work. It's only natural, then, that the creative partnership will be soon chronicled by a new documentary. On September 25, MVD Entertainment Group will release Down in the Flood on DVD. The film will trace the Band's original incarnation as the Hawks through to their frequent work with Dylan. The doc includes new interviews with some key players like Band member Garth Hudson, Mickey Jones (who played drums on the 1966 tour), original Hawks leader Ronnie Hawkins, Dylan guitarist Charlie McCoy, the Band's producer John Simon (who helmed Music from Big Pink), and others. 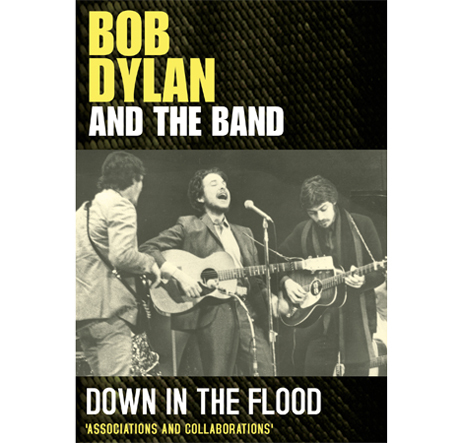 A press release notes that the film will tell "the story of the relationship between Dylan and the Band, the legendary amateur recordings that they made together in Woodstock, their re-invention of American music and their continued albeit sporadic relationship during the 1970s." To do so, it will draw on rare and archival footage. Pre-order the DVD here and check out a trailer for documentary below. This preview will give you a taste of the controversy that surrounded the 1966 tour. Dylan's new album, Tempest, will come out on September 11 through Columbia Records.